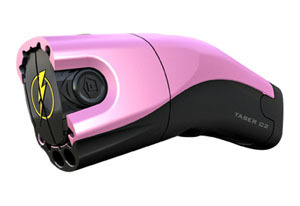 An actual Taser…for girls. It’s pink. Get it? Next up: Electric chastity belt.